The Lives of a Cell cycle through every living thing. Each animal is a magnet that attracts its own kind. Each animal is made up of an estimated 75-to-120 trillion cells—that is a fact. 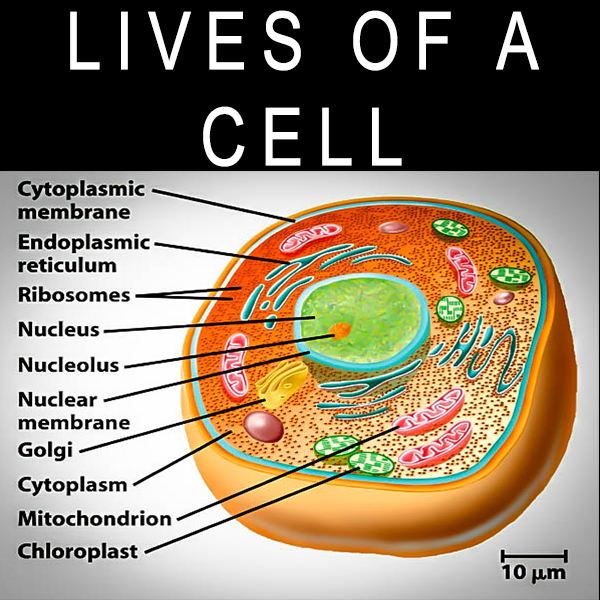 Also, each cell contains a copy of the animal’s genes. That copy holds billions of bits of information. Furthermore, each cell can reproduce itself and the genes in it. Each cell has 3-to-5 million events taking place at any one time. Each cell is a magnet that attracts its own kind—that is a fact. As a matter of fact, there is a mysterious kind of glue that binds all these cells together and lets them communicate and work as one whole animal. Medical science is finally learning how this “binding together and communications” works. Each cell orders in material to repair and maintain itself, makes the needed parts, repairs itself and sends out waste material. Additionally, each cell is a little battery that runs on water and salt—at the brininess of the sea. The blood stream is like a living soup. No one truly understands how it handles all the details and the constant communication problems. However, among the trillions of details, it fights the body’s enemies. This occurs with mysterious messages orchestrated by the central nervous system that somehow holds the whole darned mess in abeyance. The whole mess is so complicated that we could not possibly understand the day to day, moment to moment activities that keep us alive. We do know that the mind—human or dog—attracts its own kind. We—as different from a horse or cow—have some control over our thinking. This gives us an advantage, if we elect to use it. These are pretty impressive little guys that we don’t even need to think about. Wow! What I just said!